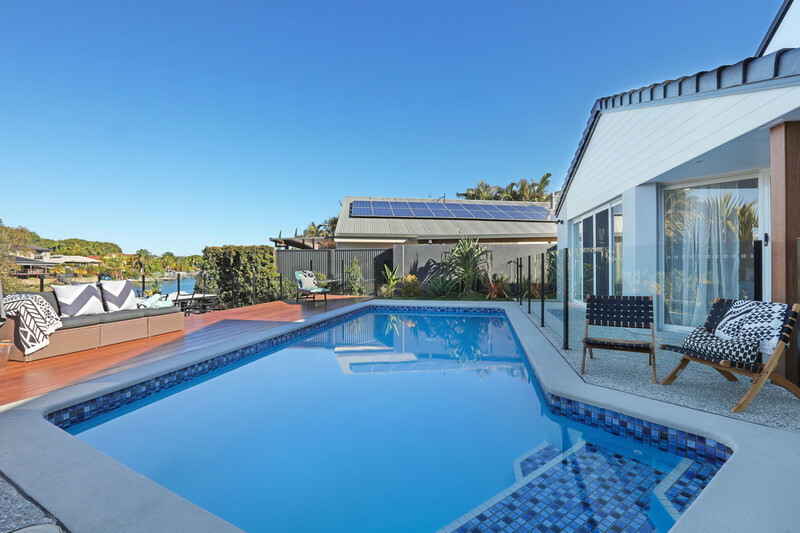 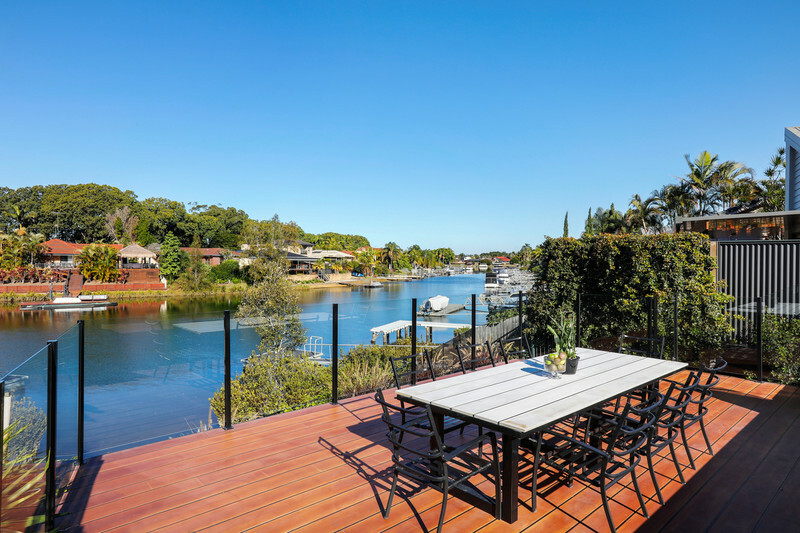 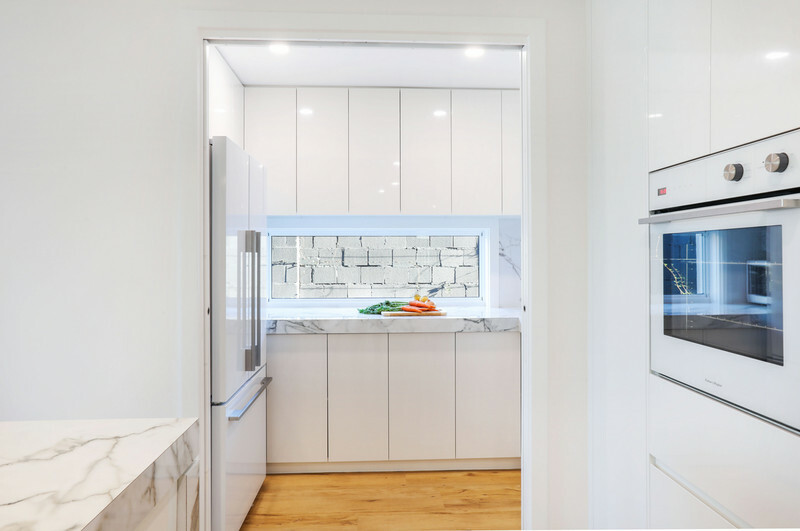 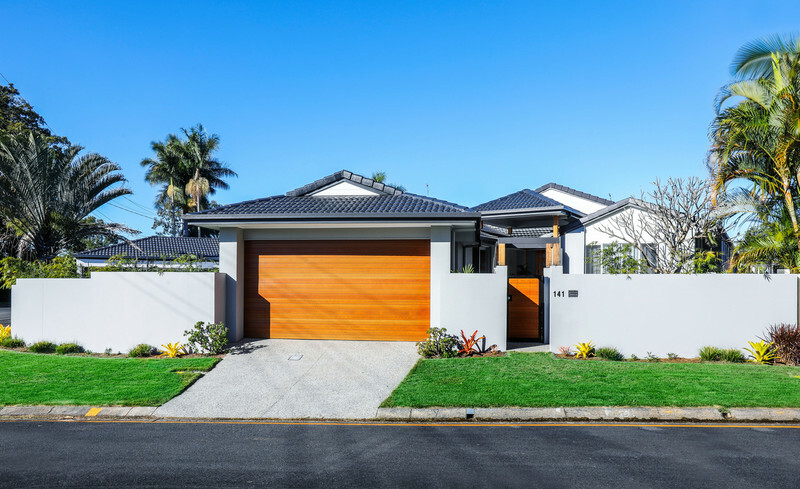 Your search for an immaculately presented, recently renovated home, with unrivalled attention to detail stops here, with this executive 4 bedroom, 2.5 bathroom family home, nestled on the water in a leafy, secluded section of Carrara, and bordering popular Broadbeach Waters. 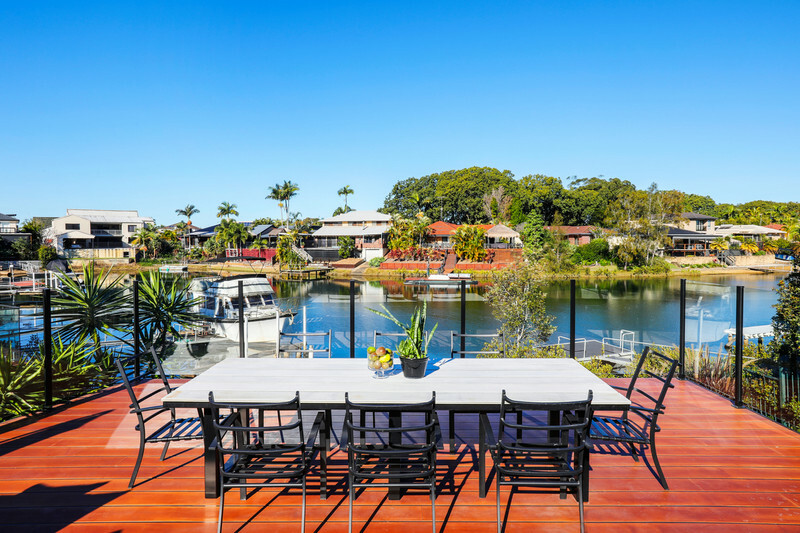 Your search for an immaculately presented, recently renovated home, with unrivalled attention to detail stops here, with this executive 4 bedroom, 2.5 bathroom family home, nestled on the water in a leafy, secluded section of Carrara, and bordering popular Broadbeach Waters. 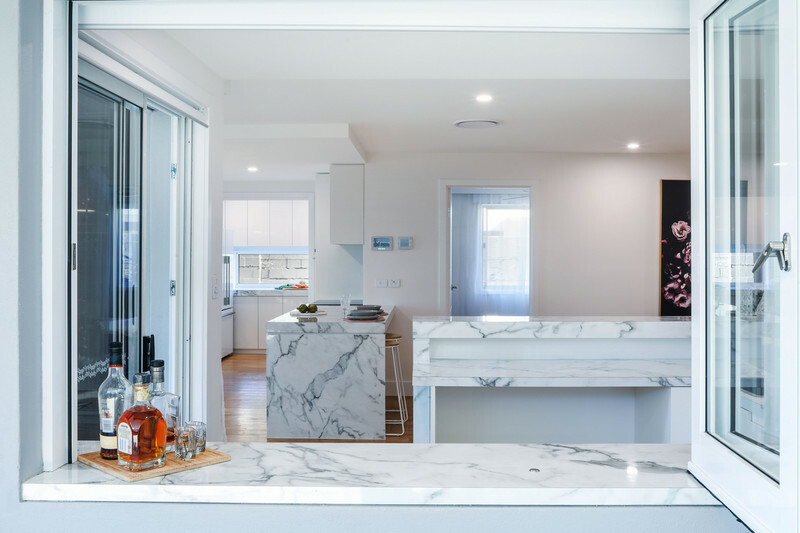 Boasting flawless finishes throughout, this single level stunner offers a contemporary, clean-lined kitchen with integrated dual dishwashers, butler’s pantry, island bench and an abundance of storage, a light-filled living and dining room, as well as a bar which links with the alfresco area via a servery window. 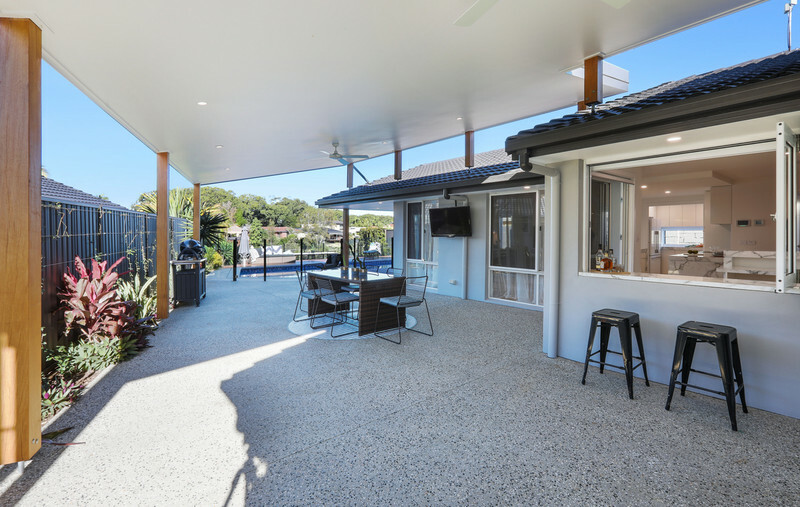 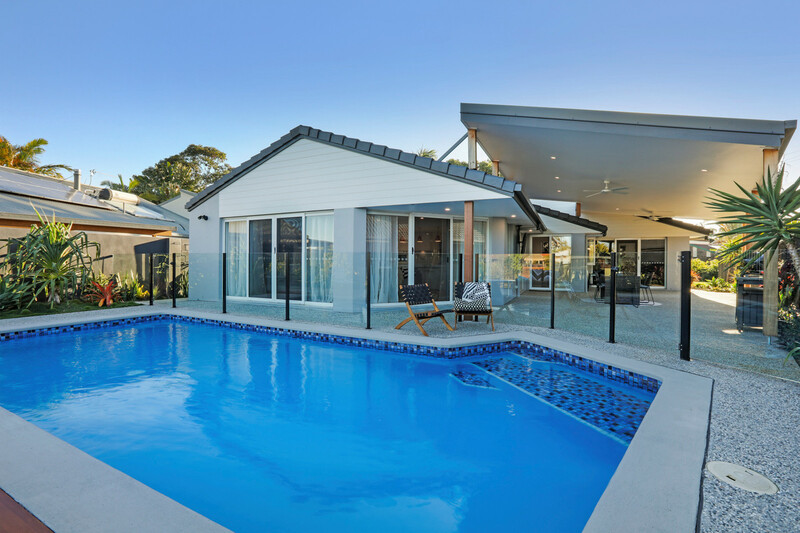 Flanked by pool and water views, you’ll look forward to hosting gatherings in this covered entertaining space, along with the option of retreating to the low-maintenance HardiDeck timber deck which hugs the refurbished pool and overlooks the canal. 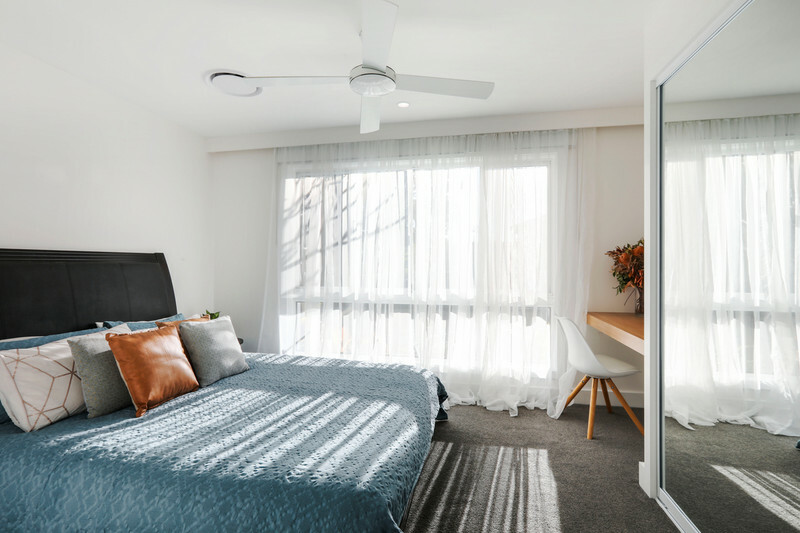 Light and bright living continues in the bedrooms, with the master featuring his and her customised walk-in-robes and an elegant ensuite with dual showers. 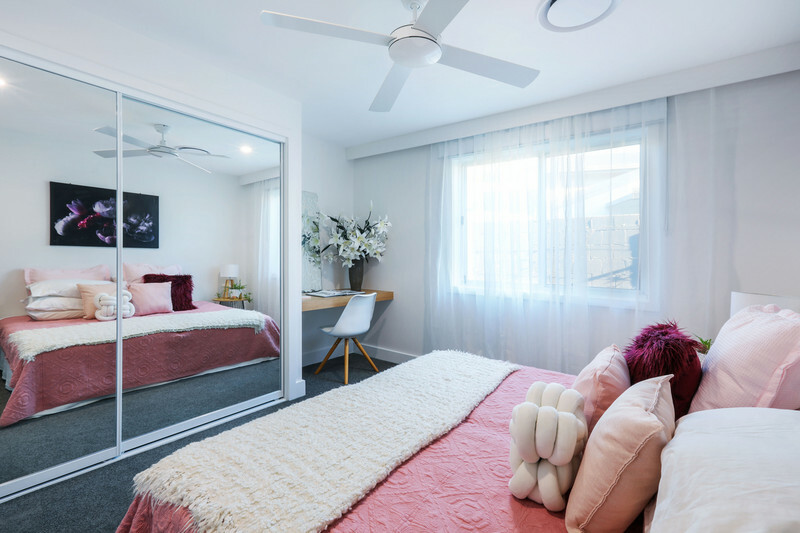 Bedroom 2 features a walk-in-robe, while bedrooms 3 and 4 boast bespoke, built-in study nooks and built-in-robes. 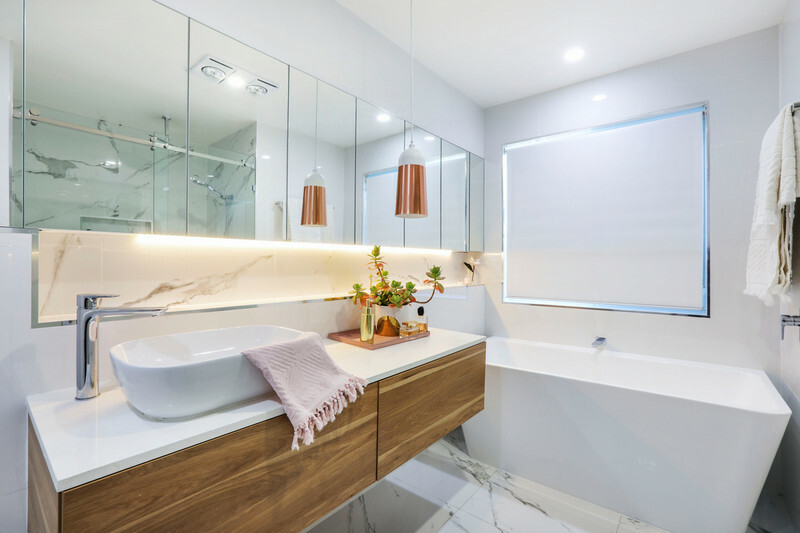 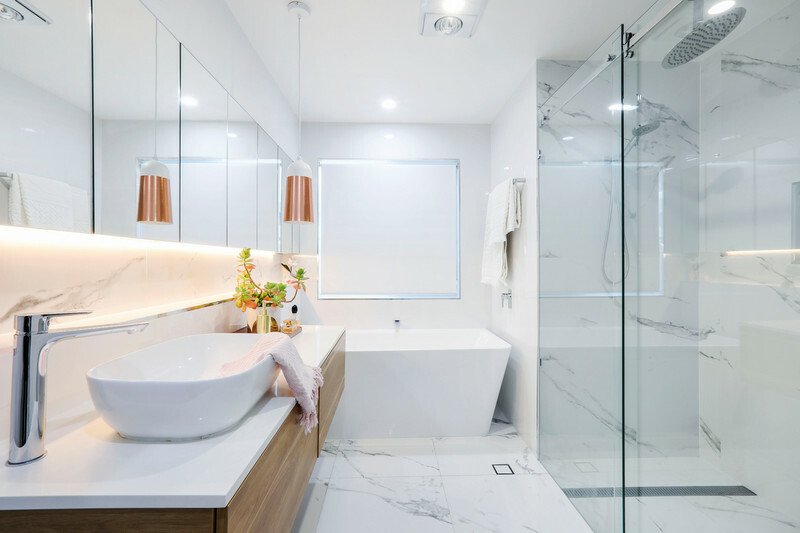 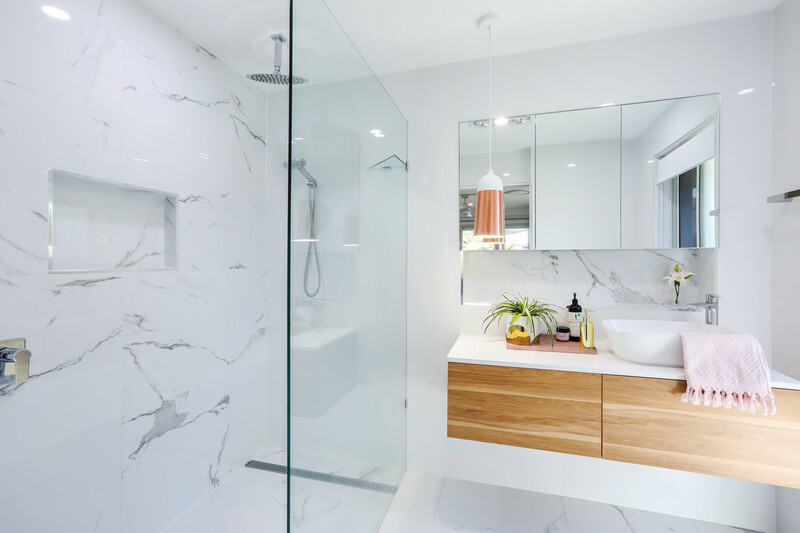 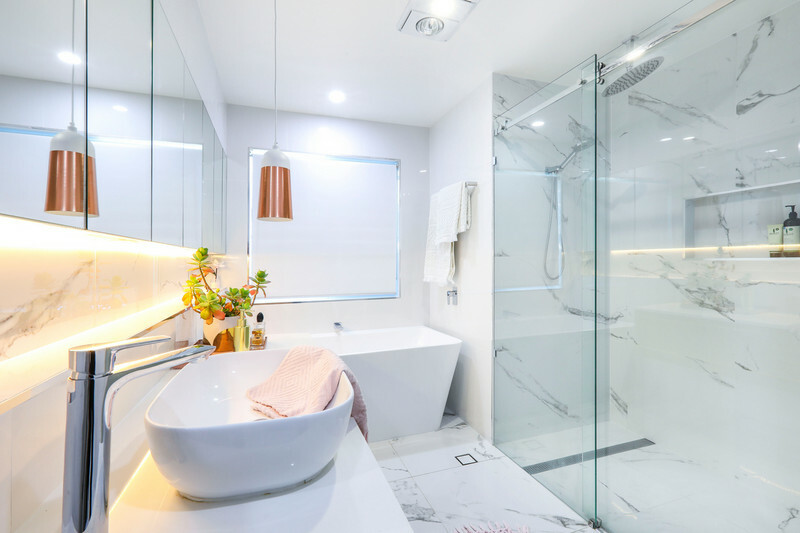 The family bathroom is also a superior addition to this home; with its wall hung vanity, full length mirrored cabinetry, dual showers and full height tiling, it is as stylish as it is functional and ideal for families. 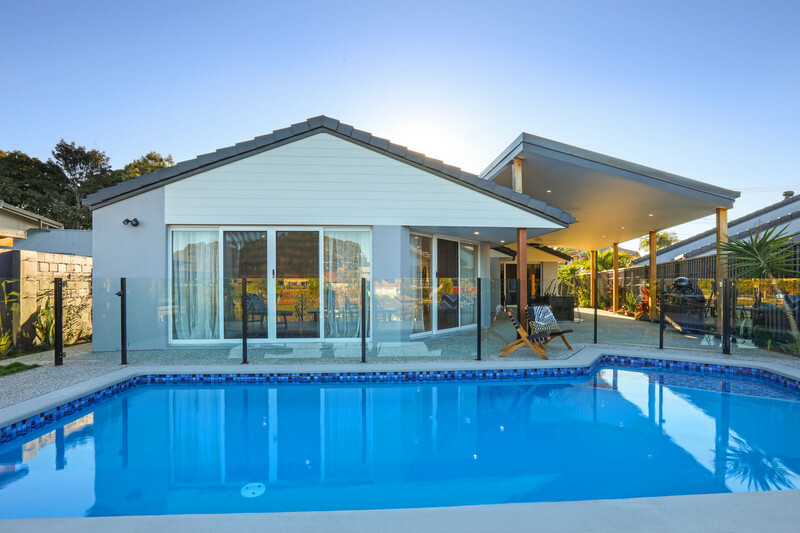 Situated within easy reach of 4 world class golf courses, elite schools (Emmanuel College and St. Vincent’s Primary School), 10 minutes off vibrant Broadbeach, as well near the walking trails, cafes and boutiques of the French Quarter and Emerald Lakes, this is a home which boasts something for every member of the family. 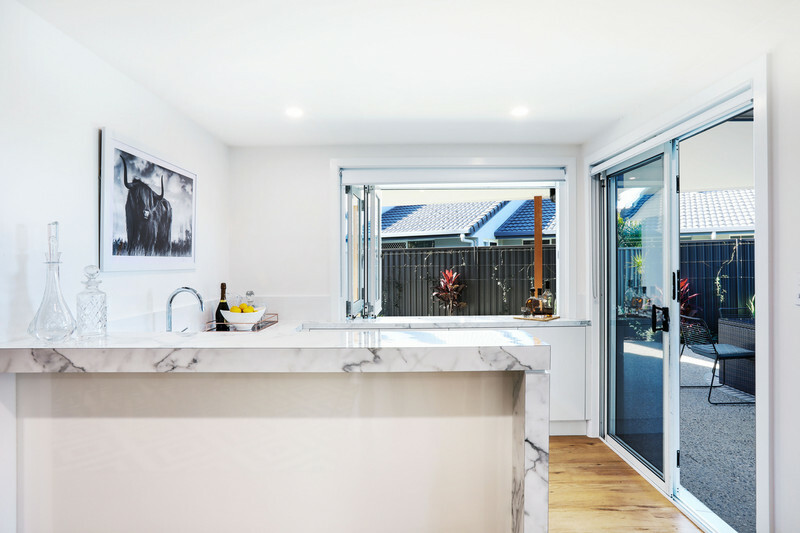 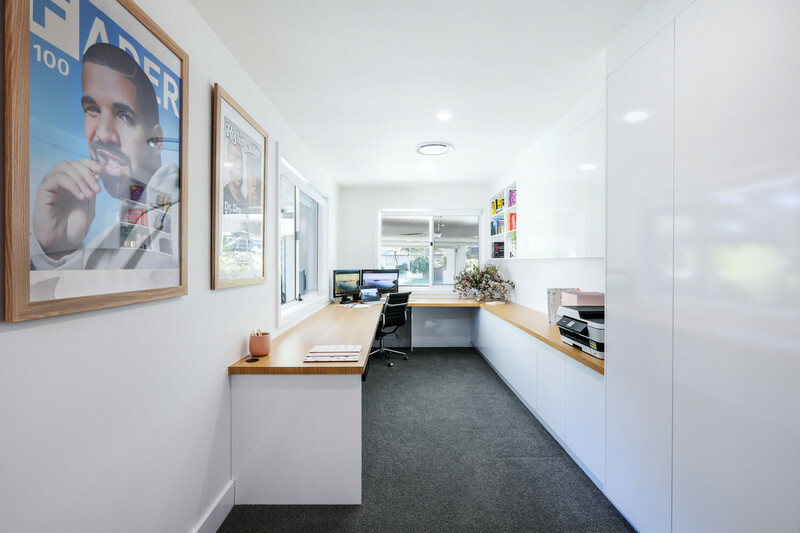 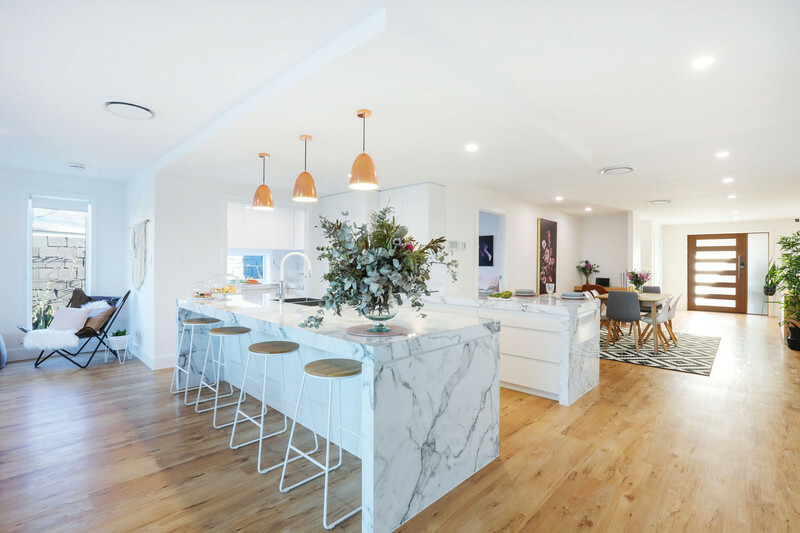 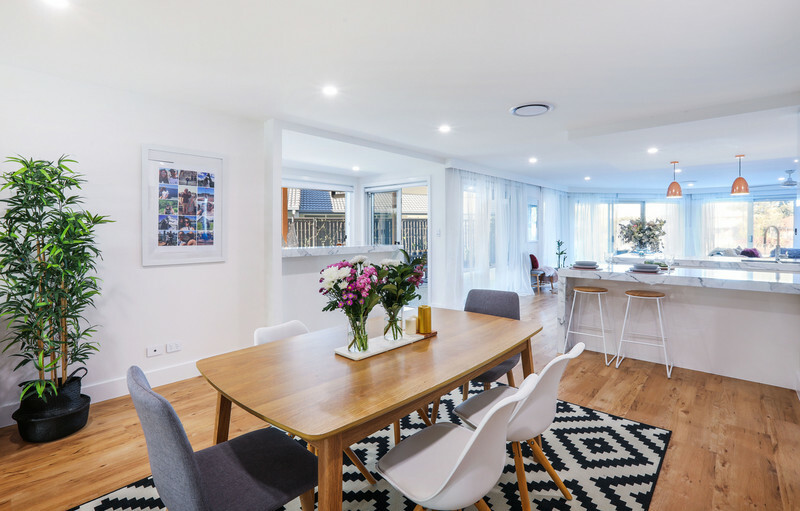 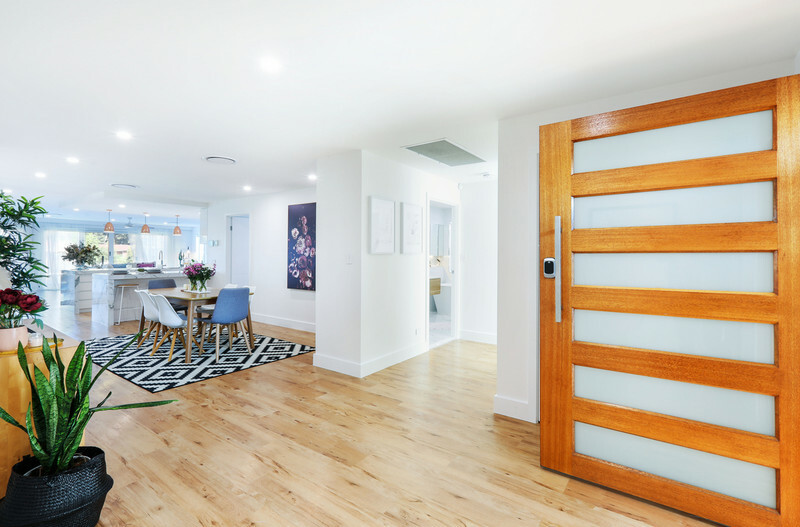 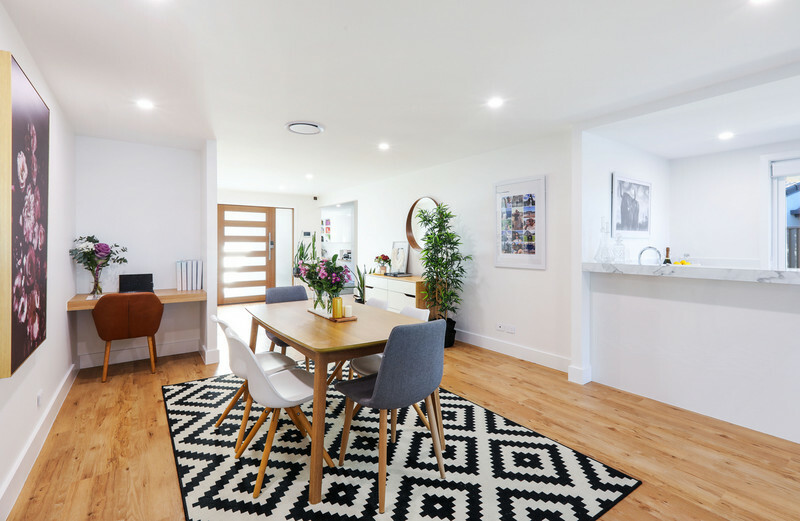 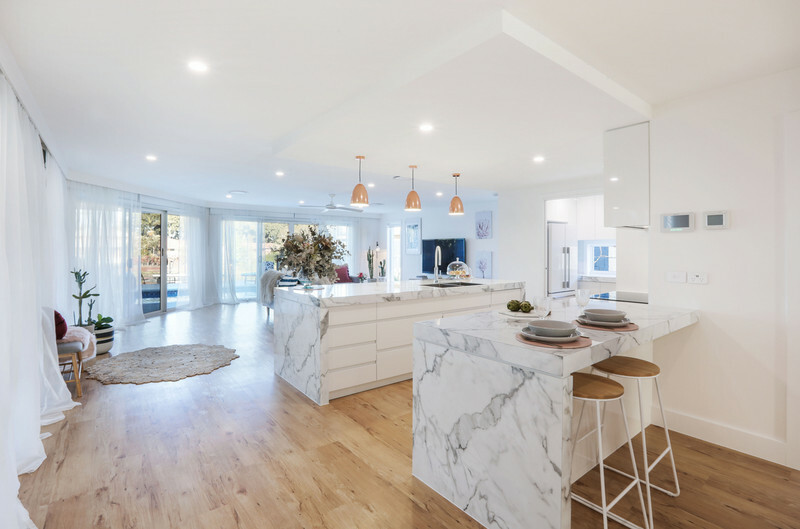 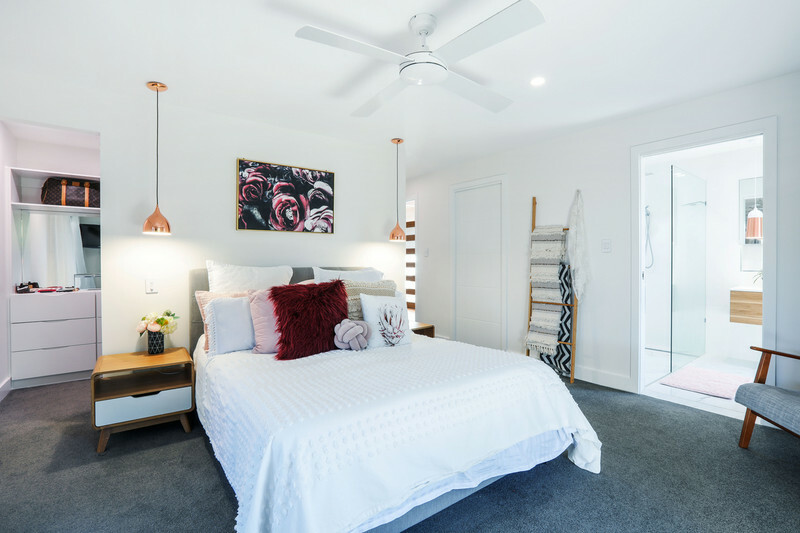 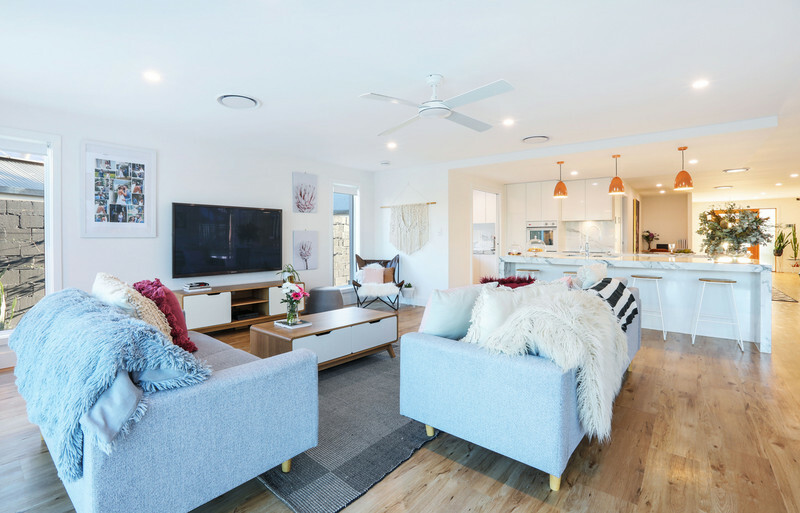 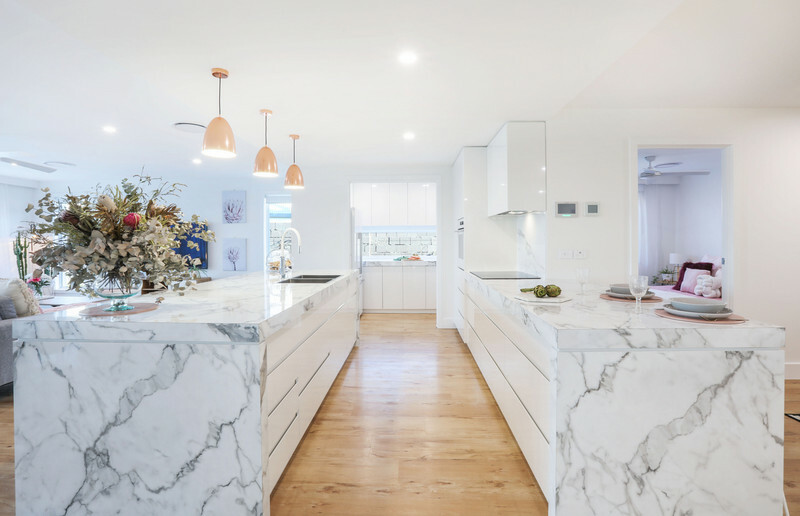 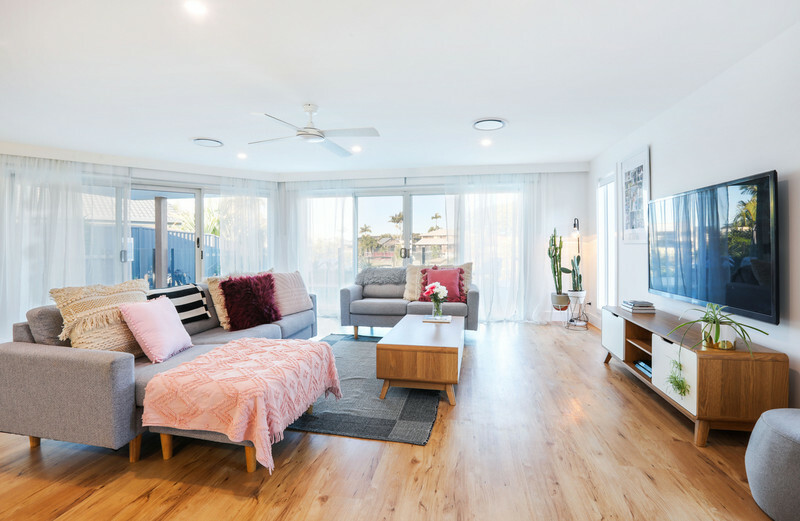 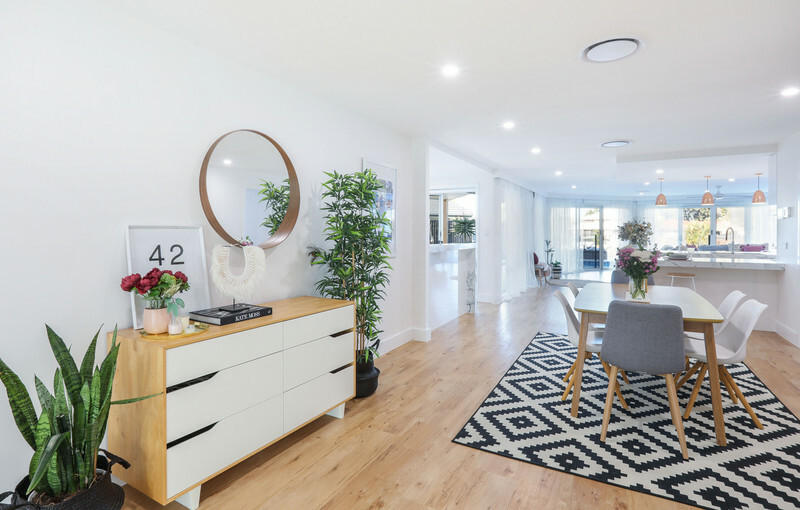 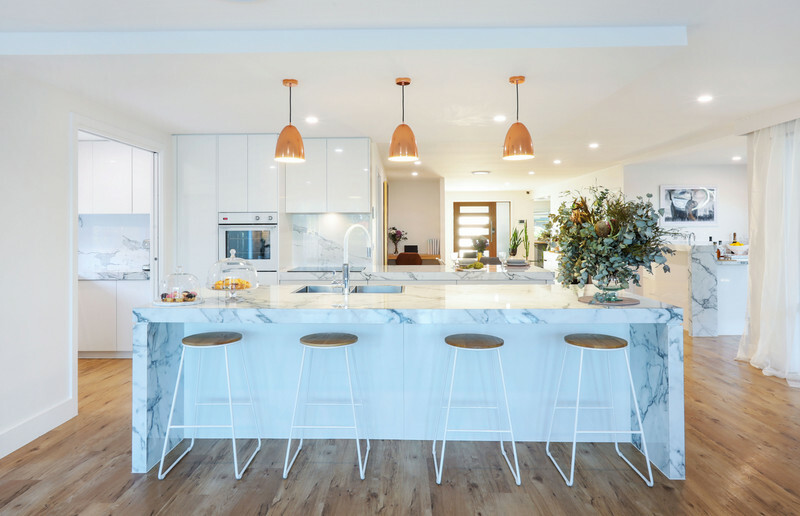 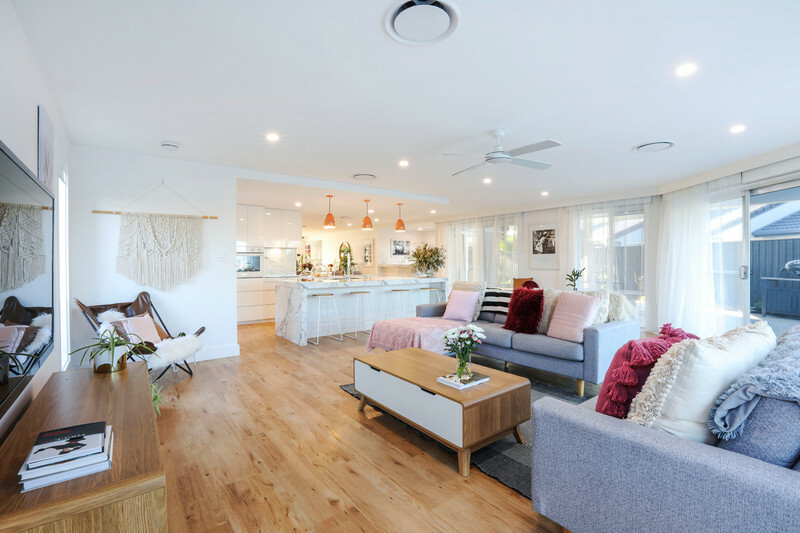 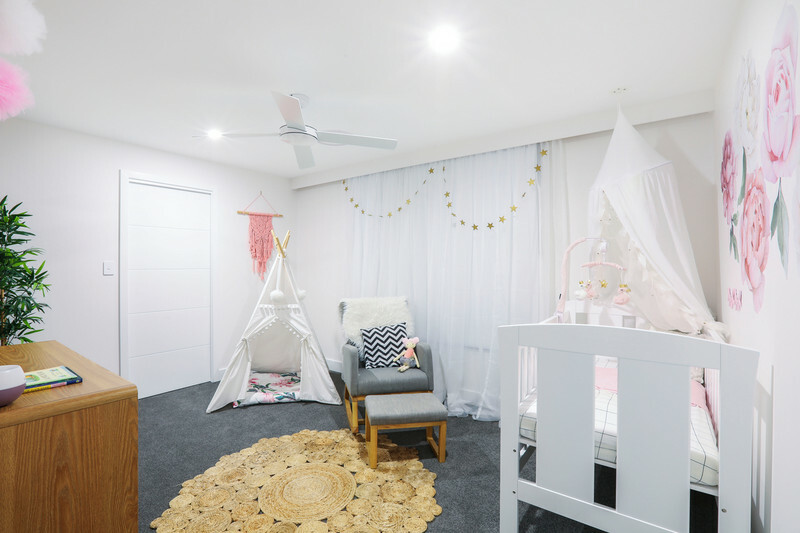 What’s more, with only two previous owners, and an extensive renovation now undertaken, you can reap the rewards of this spacious, sophisticated home, ideal for entertaining and effortless family living. 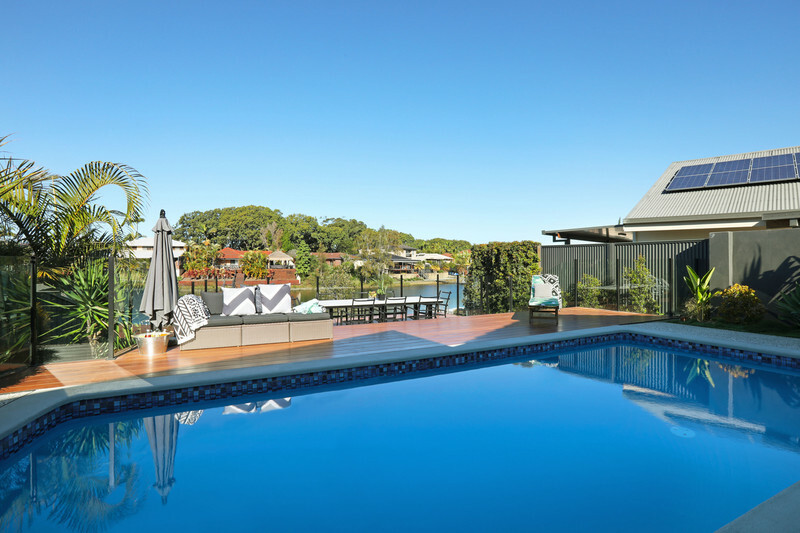 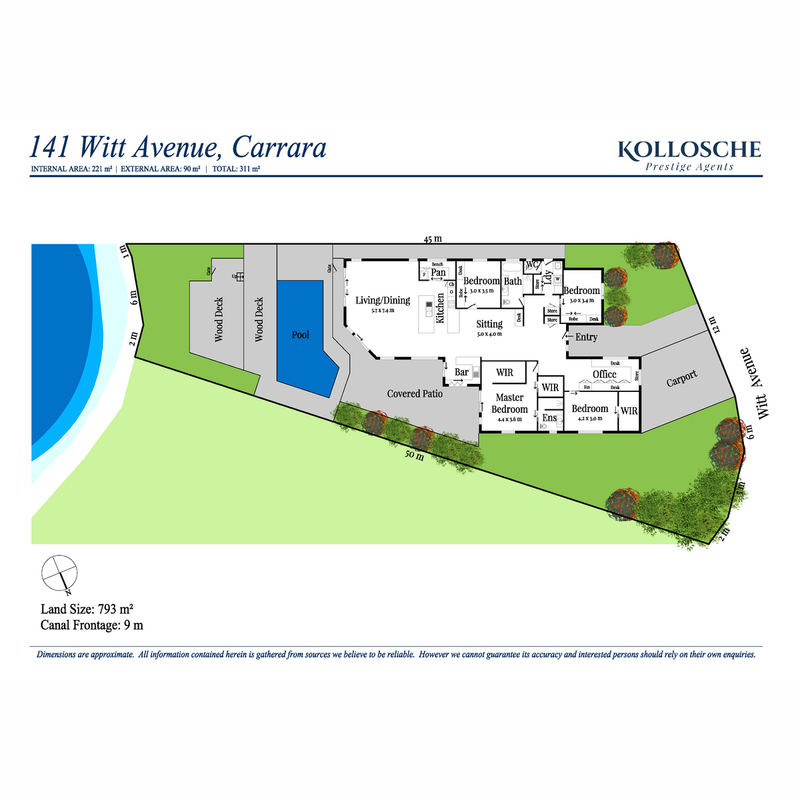 All there is left to do is simply move in and enjoy all that is on offer on this 793m2 block, with 9m waterfrontage.